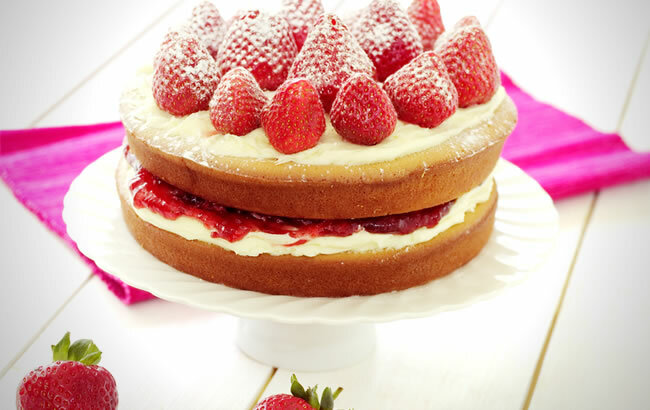 This simplest of sponge cake recipes has a fresh berry and whipped cream filling that takes the classic Victoria sponge to new heights. Bake for 30-35 minutes or until a toothpick inserted into the centre comes out clean. Cream the butter in a bowl using the back of a wooden spoon. Keep stirring until it’s of a creamy consistency. Add 280g of the icing sugar a spoonful at a time, continuing to cream the butter between each spoonful, until all the sugar has been thoroughly mixed in.